BATON ROUGE, La. 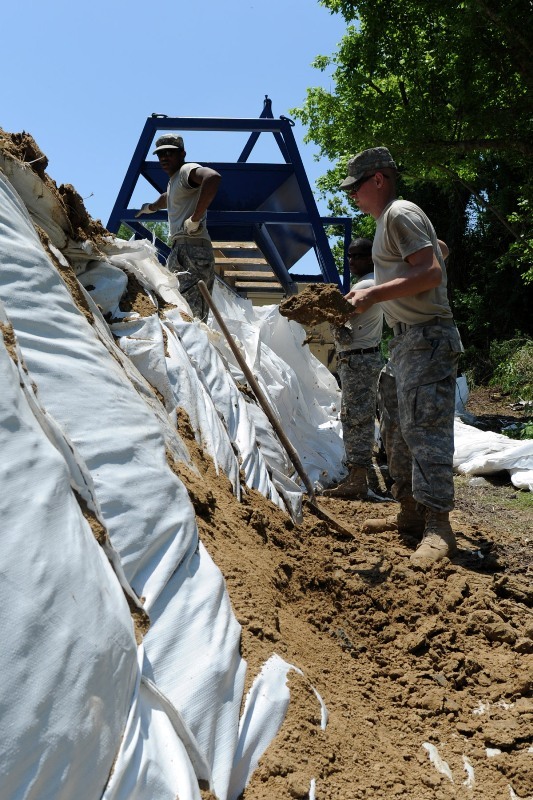  Louisiana National Guardsmen continued to assist state and parish officials with building levees and providing traffic security as the Morganza Spillway was opened to relieve pressure from the swollen Mississippi River in southeast Louisiana, May 14. 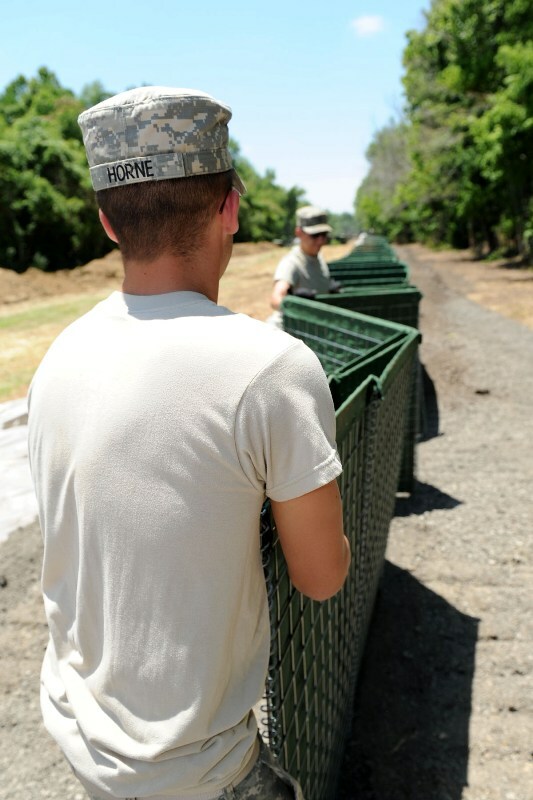 Louisiana Guardsmen have been preparing an improved levee that will total approximately 10,000 linear feet of sand-filled HESCO baskets and super bags in Krotz Springs. Liaison officer for the project, Sgt. 1st Class Lloydd Martin of the 756th Area Support Medical Company in Carville, says the goal is to build a solid wall to provide a secondary barrier for more than 240 homes, a power substation and refinery. a Guard mission, said Martin regarding the support to citizens and local authorities. The support from the community has been a huge asset in accomplishing the mission, said Martin. 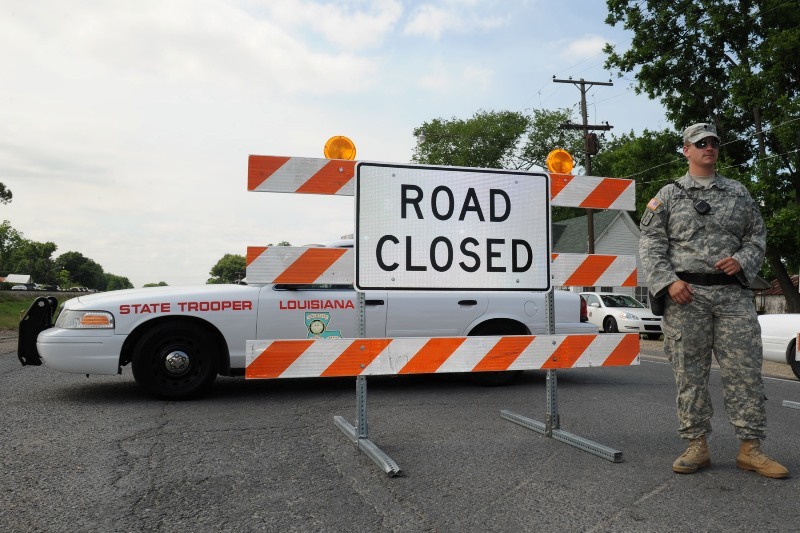 The Guards military police also assisted State Police with traffic control points before and during the opening of the Morganza Spillway to ensure citizens were safe and informed of the event. Spc. Seth Henderson, a member of the 239th Military Police Company in Carville, said their security mission is to assist not only the local authorities, but the citizens as well, with directions and providing information. 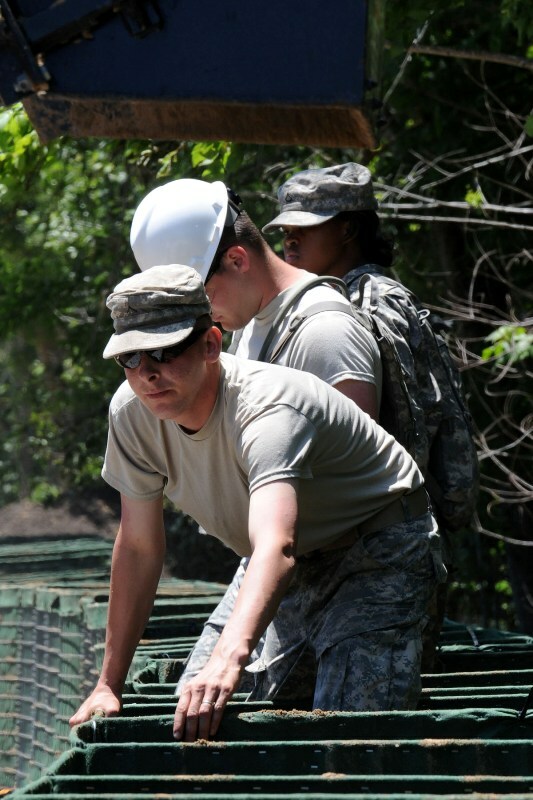 its why I joined the National Guard, said Henderson, a native of St. Francisville.